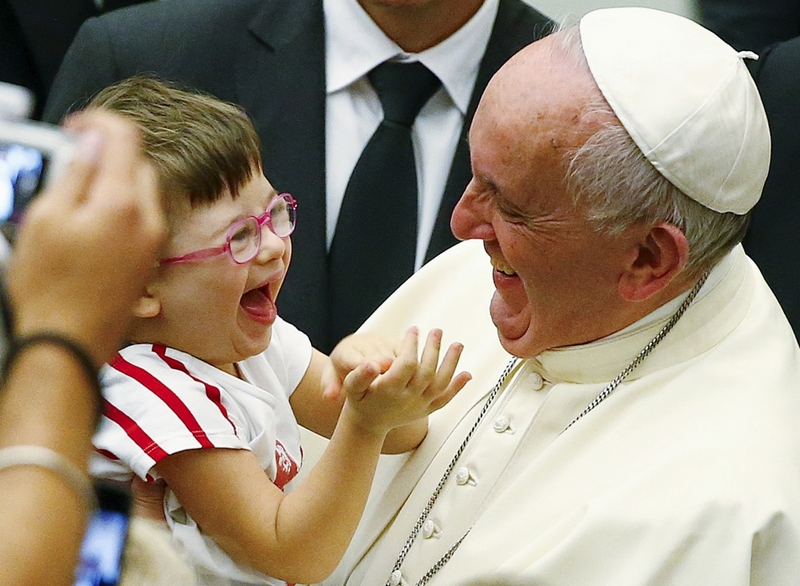 Whenever I see or hear Pope Francis a big smile comes to my face and I am filled with joy, love, and hope. 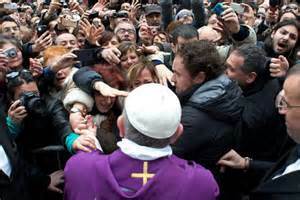 Previous Popes or other prominent religious leaders that I have seen and heard did not have such an affect on me. I have no idea why he makes me feel this way and I wonder if others have a similar experience. He seems to have an aura about him projecting love and compassion that fills the hearts of those around him, Catholic or otherwise. He inspires hope and points the way to a better world and a better humanity. When I see the huge crowds that gather to see him, I am encouraged that we are on the verge of a quantum change in the level, pervasiveness, and expression of genuine spirituality in humankind. I see a hunger by the masses for goodness, compassion, equality, and respect among people around the world. I hope and pray that when the TV news moves on to another story or the Pope retreats to his quarters that the change and noble aspirations he embodies and inspires will remain in the forefront of people’s minds and compel them to emulate this holy man. This entry was posted in Expression of the Spirit, Religion, Spirituality and tagged Expression of the Spirit, Pope Francis, self help, self improvement, Spirituality.